The name Miles goes back a long way, in fact, we’ve been blending tea since 1888. Over the years we’ve drunk gallons of tea and coffee, so you can certainly say we know a thing or two about the humble cuppa – we like to think we’re finally able to describe ourselves as experts. You may have guessed that we’re pretty passionate about tea and coffee and we can’t wait to share the Miles experience with you. If anyone knows how to make a good brew, it’s us. So pop the kettle on, put your feet up and enjoy a moment with Miles. 1888; the year that the very first issue of the Financial Times went on sale, Vincent Van Gogh took a razor to his left ear and the first ever Coca-Cola drink was sold. It was also way back in 1888 that Henry Miles decided to start up a tea business in the heart of Birmingham. The business quickly took off and, in later years, became a real family affair with Henry’s two sons firmly taking the teapot by the handle and running Henry Miles & Co. until 1974. While Henry’s sons were at the helm, Derek Miles, the Grandson of Henry Miles, became an inspector of tea, after years of working in the tea trade in London – tea flows through the veins of the Miles family! While working as a tea inspector in Avonmouth, Derek started to purchase odd chests of tea that brokers were having difficulty selling and began making new blends at home. He packaged up the new blends of loose-leaf tea in his front room ready to sell, and that was the start of Miles as we now know it. 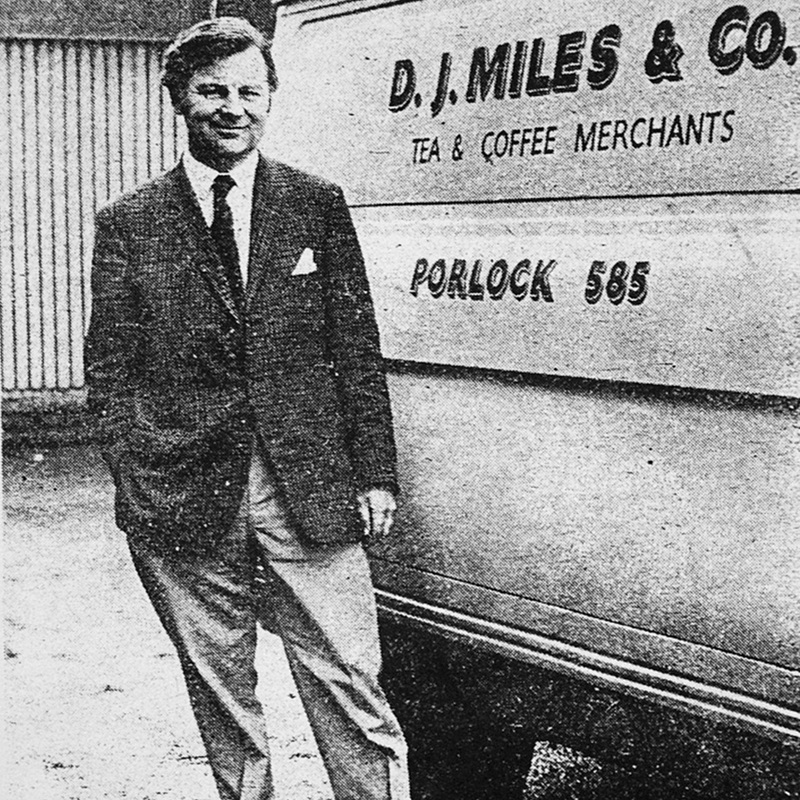 DJ Miles traded in Chepstow from 1962, independently to Henry Miles & Co, for a few years, before Derek and his friend Normal Halls bought Henry Miles & Co in 1973. Although Miles’ heritage lies in the creation of delicious and fresh teas, with the acquisition of Henry Miles & Co, DJ Miles started to explore the world of coffee and embarked on an inspirational and exciting journey that has led to the distinctive blends you enjoy today. Tea bags were also introduced to the catalogue of loose-leaf teas. Around 18 months later, a second factory was opened in the South West. The two factories were in use until around 1986, when the Chepstow factory was closed. For 25 years Miles tea was blended and packed in a small building in Porlock, where the tea blender, holding 1000lbs, stood upstairs directly above a table of packers. In 1985 the company purchased a coffee roaster and fresh coffee production began in Porlock, where our coffee beans are still roasted today. Fast-forward to today and Derek Miles and John Halls, Norman's son, still taste the award-winning Miles products at our coastal factory. So much has changed over the years – and yet so much has remained the same. 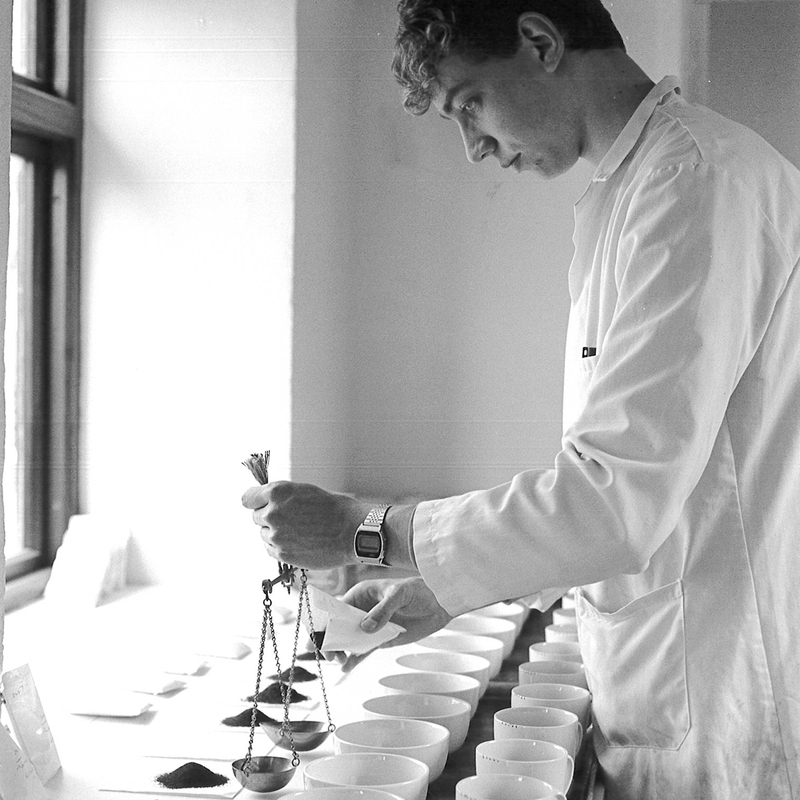 From the start the Miles vision was to create the finest collection of tea and coffee blends for people to savour and enjoy, this ethos remains at the heart of Miles as much today as it did 130 years ago – a time before everyone was posting selfies on Instagram and finding hundreds of ways to eat avocados. Unless we walked around with our noses in a teacup all the time, it would be hard for our beautiful surroundings not to inspire us everyday. 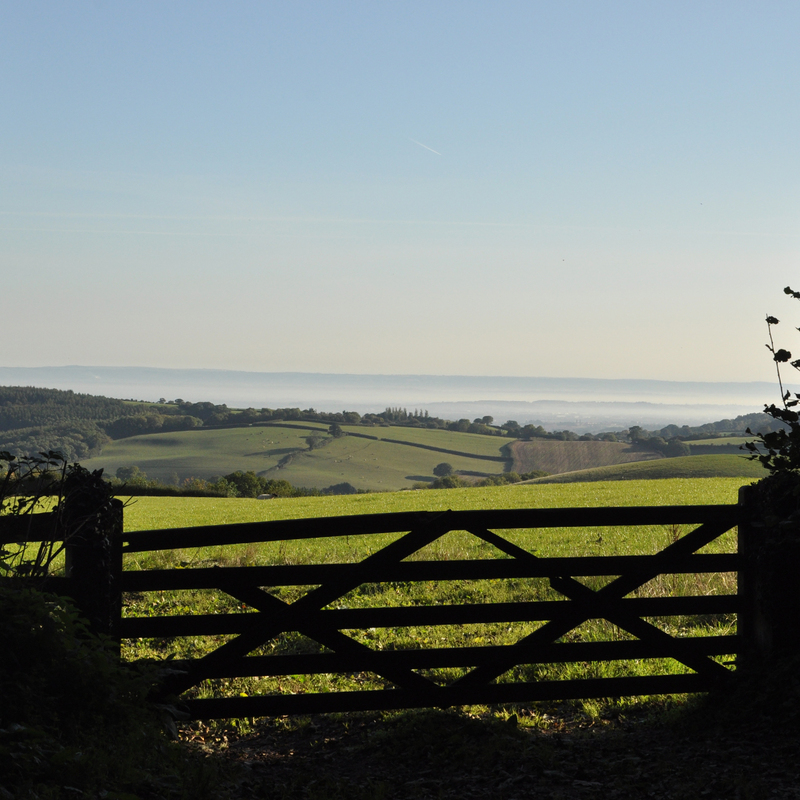 Both our coffee and tea factories are based on the edge of the UK’s smallest National Park, Exmoor. We are lucky enough to wander along the west coast seafront during our lunch breaks, taking in the ocean vistas and salty air before heading back to our desks for a nice warm brew. We’re an energetic bunch here at Miles HQ and we like nothing more that being outdoors – biking over the Quantock hills, watching (or sailing) the boats out on the water at Porlock Weir and enjoying picnics on Minehead beach during the summer. To us the simple daily pleasures of watching the world go by, taking a stroll in the countryside or spending hours sharing stories with your family and friends over a cup of tea, are just as important as the big milestones in life. We like to take a step back and enjoy the moments; the fabulous, the hilarious and even the seemingly mundane, that make life the brilliant journey that it is. We want to be known for being friendly, authentic and relaxed. Making quality products is at the heart of all we do, but we like to have fun at Miles HQ while we do so. There are many things that make Miles’ unique, but in particular the way we combine state of the art coffee roasting and packaging machinery with the use of traditional methods for blending and tasting our products. Every morning, in the tasting room, the kettle is filled, cups are lined up, leaves are weighed and the finest blends of tea infusions are perfected and enjoyed. At Miles we still use traditional methods of tea blending and tasting. A great deal is dependent on the individual eye, nose and palette of the tasters– so it’s a good job that our tasters are well practiced! Our coffee beans still arrive in large hessian sacks, in the traditional way, before they are roasted in our Porlock factory. Visiting the factory is like entering a place Raul Dahl wrote about for the infamous Willy Wonka, just with coffee rather than chocolate – and a serious lack of Umpa-Lumpa’s. Our heads may be in a teapot, but our feet remain firmly on the ground when it comes to ethical trading and environmentally friendly practices. We strive to create all of our products responsibly and we’re always trying to think of new ways that we can help the environment within the production process. 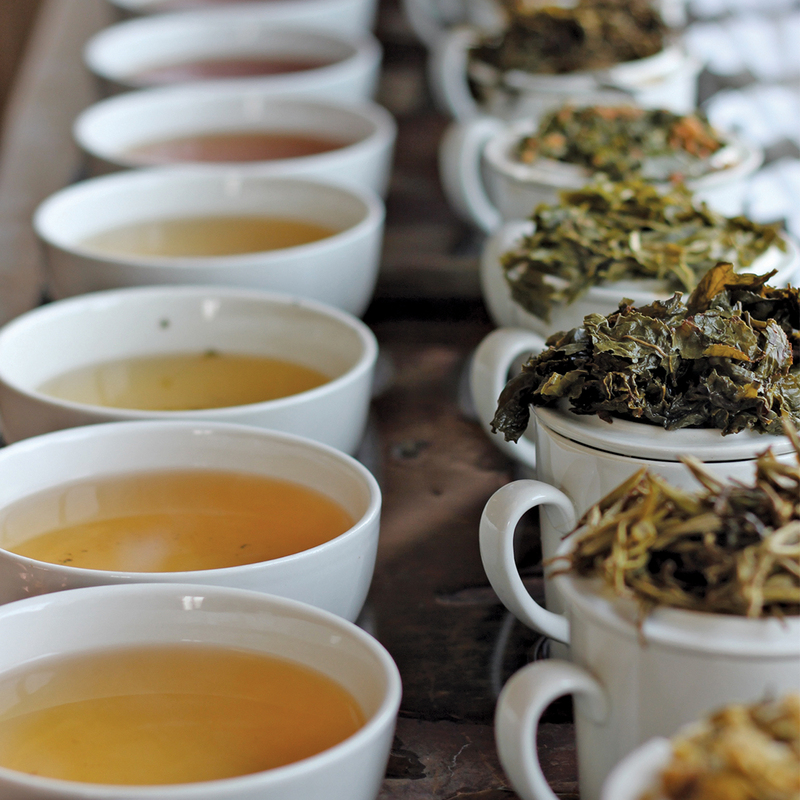 Sourcing is an important part of the tea blending process and this is where the Ethical Tea Partnership comes in. We are proud to be a founding member of the Ethical Tea Partnership, building deep relationships with the brokers. We would describe ourselves as a human brand, so, as well as producing the finest teas and coffees, we want to make a meaningful difference to the lives of other people. It’s important to us that we are involved in a project that helps to improve women’s rights, provide education and contribute to clean drinking water being readily available to the plantation workers, without which our beverages wouldn’t exist. It makes us happy, knowing we are helping to do great things, from Minehead and Porlock to Africa and India. 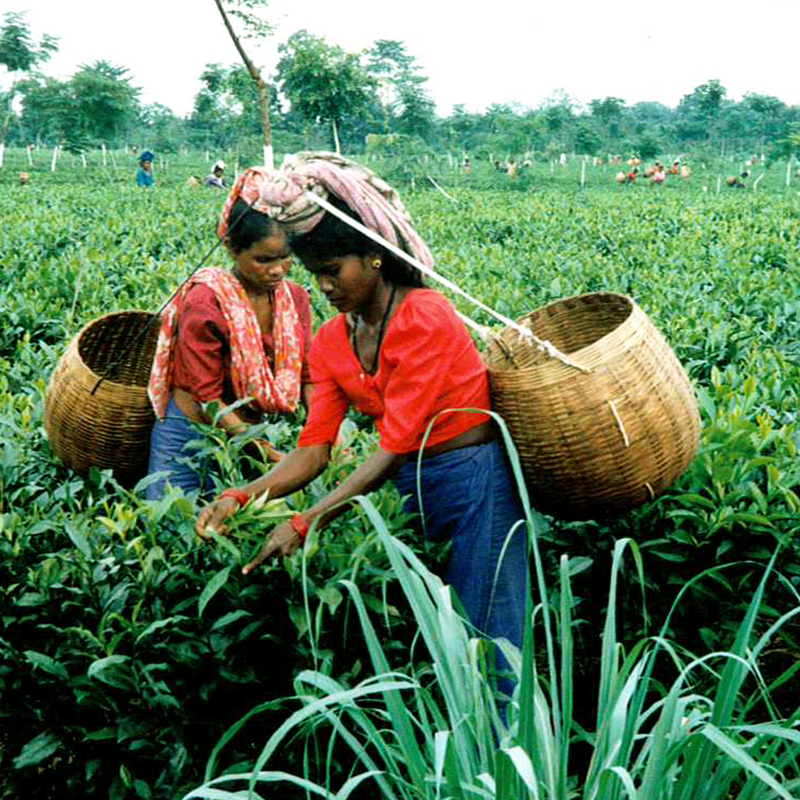 To find out more about the Ethical Tea Partnership click here. Our Miles mascot, Smuggles, (aside from jointing us at events and visiting many delis and cafes) is usually found slurping tea from the corner of the director’s desk at Miles HQ. 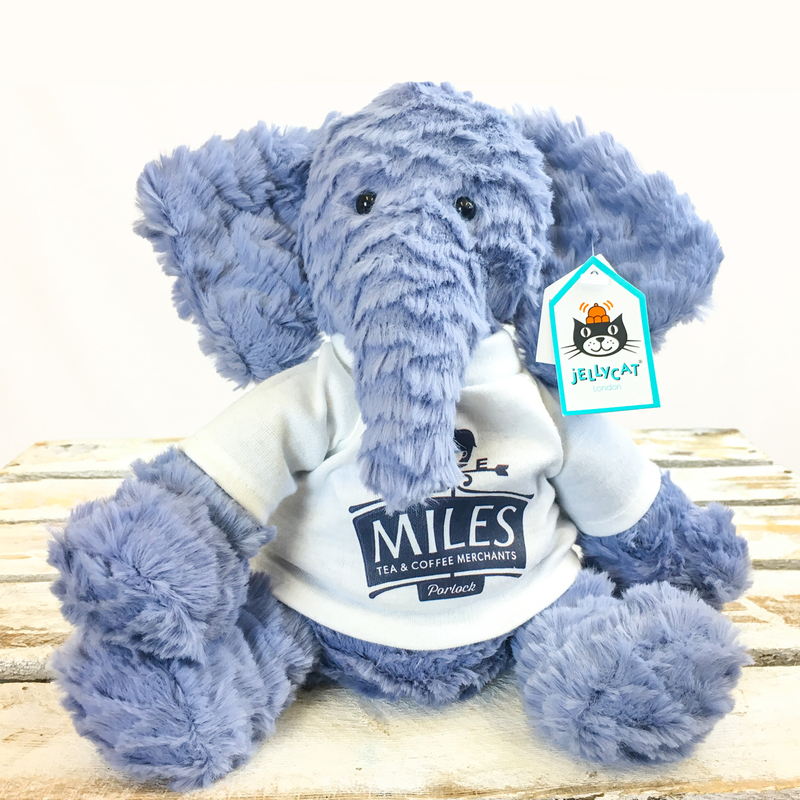 Sitting proudly on the Miles logo, we often get asked why we have an elephant as our mascot. The Indian Elephant is one of only three species native to Asia, where we source our tea leaves from estates that work with the Ethical Tea Partnership, so what better animal to represent our company – that started all those years ago.